Redefining luxury living and entertainment is the essence of the GBW Hotel experience. Situated in the heart of Johor Bahru, our luxury hotel features spacious rooms, modern facilities, and exceptional service. We aim to surpass the demands of discriminating guests and make sure that they have everything they need for their comfort. Our strict adherence to hospitality standards applies to our wide range of facilities. We cater to the business and recreational needs of our guests and ensure that leisure and accessibility are always within your reach. The total convenience of our location is part of the luxury we offer here at the GBW Hotel. We are mere minutes away from the places that matter in Johor Bahru, such as offices, shopping centers, and cultural destinations. Careful attention to detail is evident in our opulent dwellings. Our rooms are elegantly furnished and outfitted with amenities befitting luxury accommodations. Each suite has a daily newspaper delivery and cable/satellite TV. We know too well the importance of connectivity, so we made sure that you get high-speed internet access. 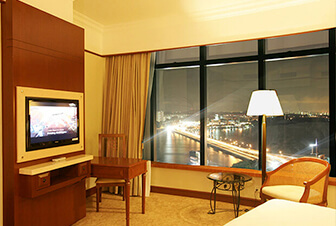 GBW Hotel offers a whole range of facilities to cater to your business and recreational needs. Our business center provides top-notch equipment and a team ready to deliver assistance. 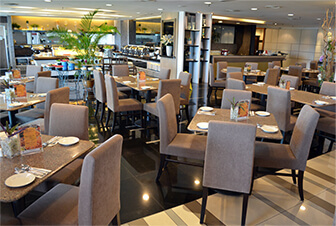 Guests may also feast on Malaysian, Asian and Western cuisines in our lounge and restaurants. Johor Bahru is situated just across the Singapore causeway, making it a regional transport and manufacturing hub. Accessibility is yet another luxury that we offer to guests who need to be at the center of everything. The hotel’s excellent location means there’s no need for long commutes and numerous transfers just to get to offices, shopping centers, and tourist spots. Those who are looking for cultural excursions and days of worship can easily do so without having to stray far from the hotel. • Tourism Tax. Non-Malaysian passport holders will be charged a minimal tax of RM 10.00 nett per room night effective September 1, 2017. Tourism Tax will be collected at the hotel at time of check-out.